Today the market demands to be constantly updated on the latest technological and management trends. SAPPIO Learning Services is focused on training Companies and professionals, who seek to be at the forefront. We have a variety of Courses & International Certification that can help you start or expand your knowledge of practical and easily. We offer workshops with expert instructor in the most demanding technological areas, to help you develop your career. Our Training Program you to expertise ones knowledge in Red Hat Linux, Cisco & Other Network Technology, AWS Cloud, Microsoft. We deliver content on the standards defined by the manufacturers of products, designed to validate the skills acquired with the adoption of internationally recognized certification exams. Sappio Consultancy Services Pvt. Ltd. is an IT Company located at one of the Fastest growing IT Hub in the County, “Kochi“. Gods Own County, Kerala. We offering customized services for Business Segment focusing in Core Operating systems, networking technology support, administration, Web Hosting, Cloud Administration, Security systems, corporate training and IT internship. We adopt industry practices based on proven strategies to enhance your business with customized products as we focus on client-centric environment. We are here to set a new benchmark in IT Training standards. With the RED HAT specified level 3 infrastructure (16GB RAM, i5 processor configuration) and Highly qualified trainers (Only RHTP with 100% instructors as Red Hat Certified Architects, which is the highest certification level) , we are gearing up to become Global IT Training Hub @ Kochi. 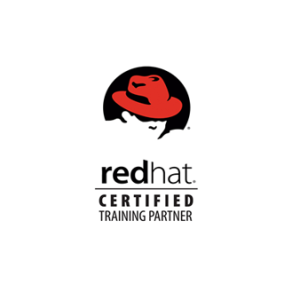 We are Red Hat Certified Training partner authorized for delivering RED HAT courses and conducting certification exams at our company. Additionally we offer courses in CISCO Networking Technologies. Customized training for corporate clients and Job oriented training for fresh candidates are the core objectives of Sappio’s Training Division. SAPPIO is our commitment to redefining and providing world class education to the world over. Technology that stirs your imagination, curiosity and inspires positivity and engagement with our world and its technical issues. SAPPIO will utilize the potential of world class instructors to deliver quality content delivery. Our talented team is ready to deliver the content in professional way. Welcome SAPPIO to change inspire value towards Open Source technology. with courses in your company and on the web. Select delivery method that suits their objectives of training, learning style, and budget. No need to have high-capacity infrastructure. Expert instructors located in place of your choice. For small groups or a large corporate projects. we have authorization from leading software and hardware manufacturers to perform certification tests to candidates, with international recognition. A Expert dedicated trainer for your specific learning requirements. Tools supporting certification course, employ certification workshops. Sessions on selected topics, Consultations guided by an instructor, Exam preparation. Identification of the profile of participants knowledge to guide about the courses to take and generate career plans.